I spied this lovely little dress and just had to share it. 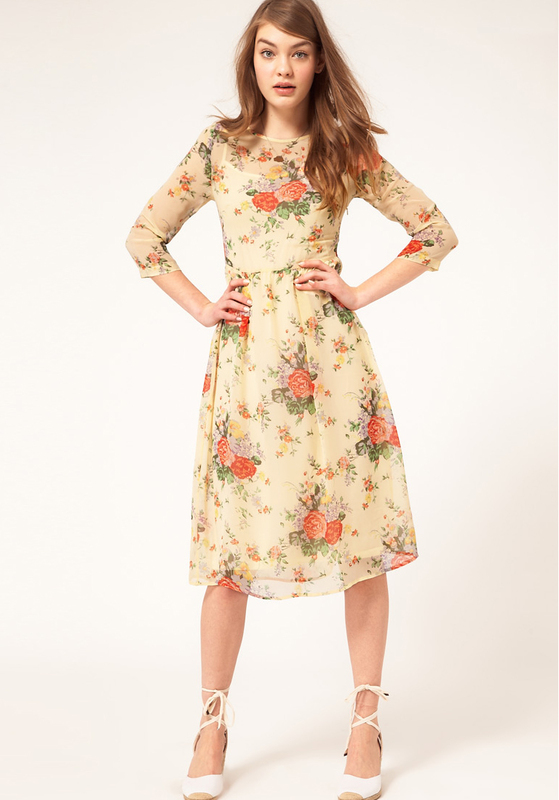 ASOS has quite a few modest dresses under $40 right now. 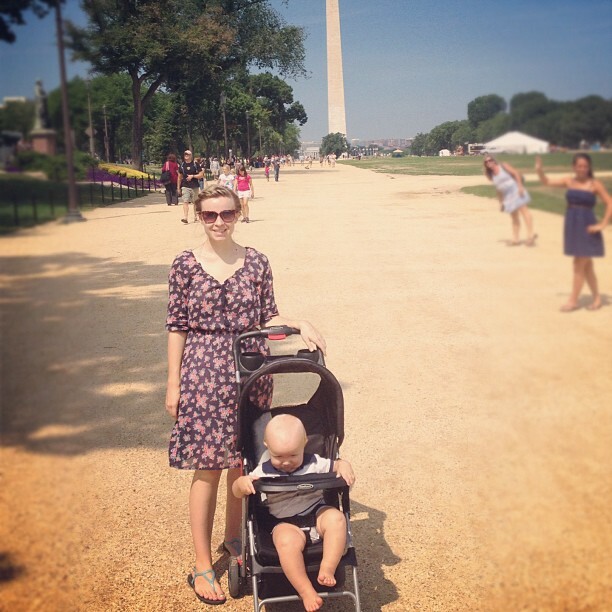 We took DC by foot and I was so glad I picked up this gauzy cotton dress at H&M. It was the perfect thing for the weather. I have this tee in 4 colors & wear them constantly. I am so excited to see these two retailers partnering up in the fall. I think this hair tutorial is so cute and clever. I love the shape and color of this necklace. We have a laid back weekend ahead of us. Do you have any fun plans? You may have noticed a wee absence on the blog last week. This is because we went on a marathon road trip. If you follow me on twitter and/or instagram, you followed us on our 9 state adventure. Here are some of the highlights. 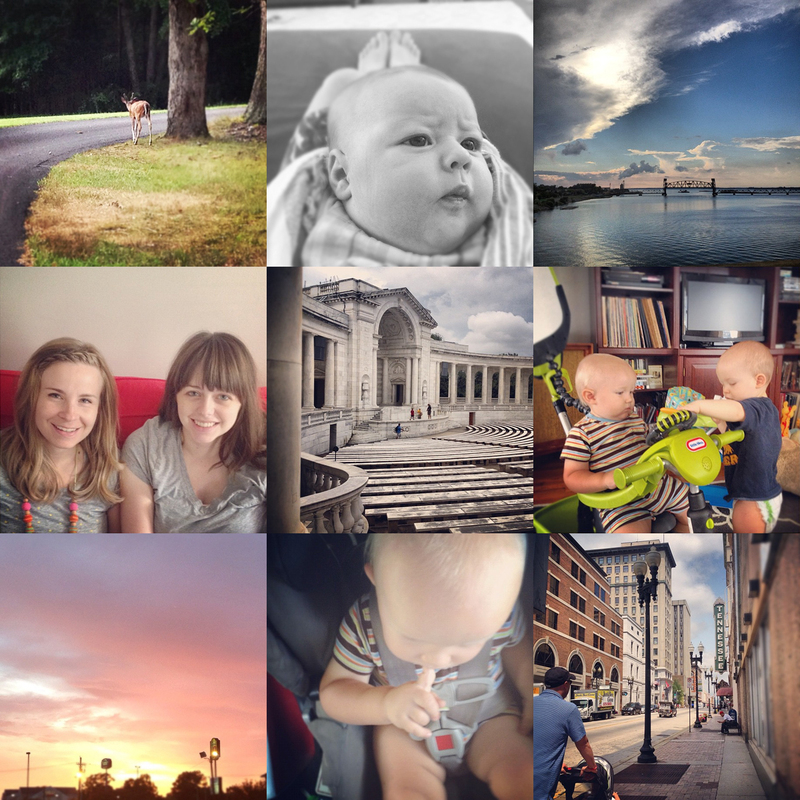 Some of the highlights were staying with both E & Mary (two of my very favorite bloggers & people around). I especially loved watching Tate play with the other babies, and of course snuggling with Lucy. We also went to Civil war sights, and Washington DC. We stopped in so many cool places to eat & explore on the way. Tate was a rock star - he did so well in the car! And I have to say this trip converted me to the benefits of the road trip. We tend to be fly-by-the-seat-of-our-pants travelers, and driving allows for so much for flexibility. Do you like taking road trips? Have you ever taken your kids with you? Y'all know how much I love Jem Apparel. 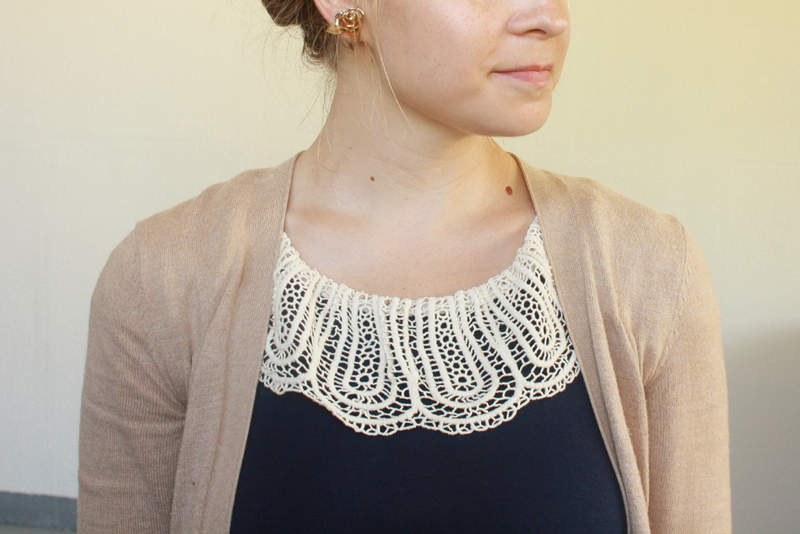 I was so stoked when Jenny, the owner, was kind enough to send me the lace collar sundress. I love the jersey fabric, collar, and lace detail at the hem. Make sure to check out all the dresses at Jem. 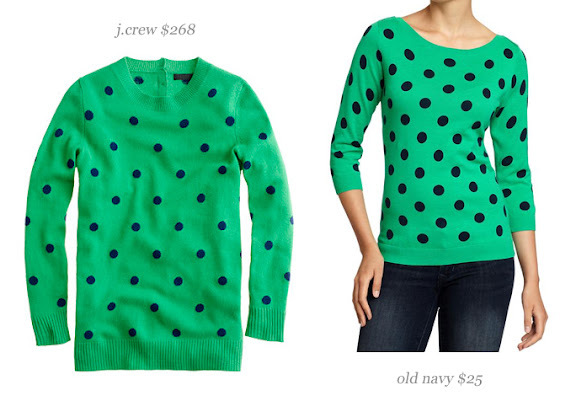 The old navy option comes in a lot of fun prints and colors, so make sure to check it out. Also, Old Navy is offering 25% off all orders (through tomorrow night) using coupon code SURPRISE25. Somehow I didn't notice this skirt until I saw Mary sporting it last week. The print is vibrant and it is the perfect weight for summer. 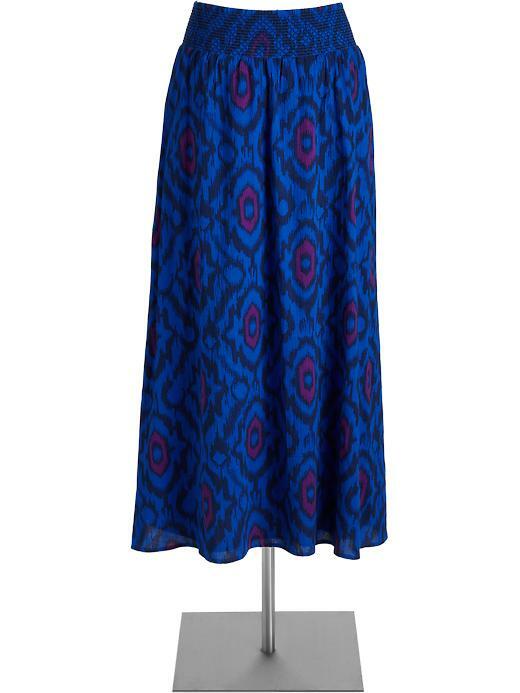 I am loving me some maxi skirts right now. They are the perfect thing for lazy summer days, you know what I mean? Have you embraced the maxi skirt trend? Today I get to do one of my favorite things, offer all of you a giveaway! Ivy Lane is offering two pairs of earrings to one lucky winner (open to US residents only). Visit Ivy Lane Accessories and leave a comment here telling me which two pairs you like best. The Giveaway ends on Friday, July 20, at 10 PM (Central Time). 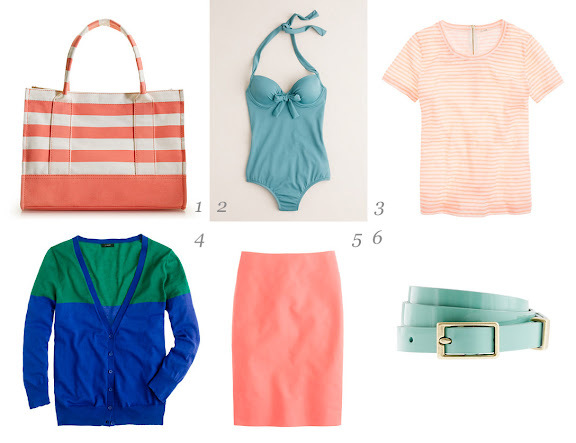 You may have noticed a lack of cardigans on the blog lately. Maybe you haven't noticed it, but I sure have felt it. You see, where I live is just too darn hot for layering most of the time and it has left me feeling a little bit heart broken. I still love you cardigan, I just can't wear you until October. 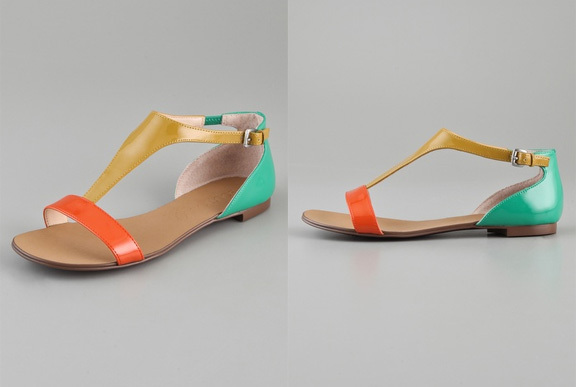 I got a request for these Piraya Multicolor T Strap Sandal (which are on sale right now) for less. 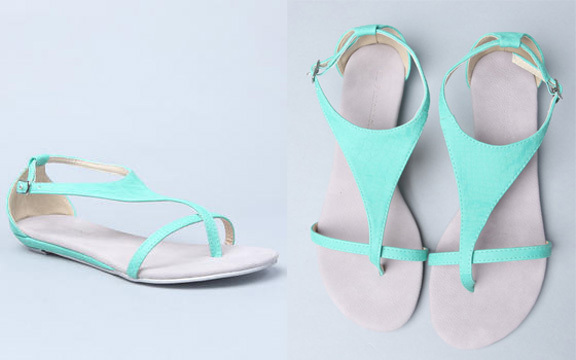 As soon as I looked at them I realized they were actually a cheaper version of these Anthropologie Tingo T-Strap Sandals, but I went on the hunt for an even cheaper version. They are obviously lacking the trio of colors, but I think they have a similar vibe. I have become a bit obsessed with sandals lately. J.Crew is offering 30% off of their sale section right now. Here are my favorite finds. Make sure to use coupon code | MUSTHAVE at checkout. What do you think? Anything you are interested in buying? 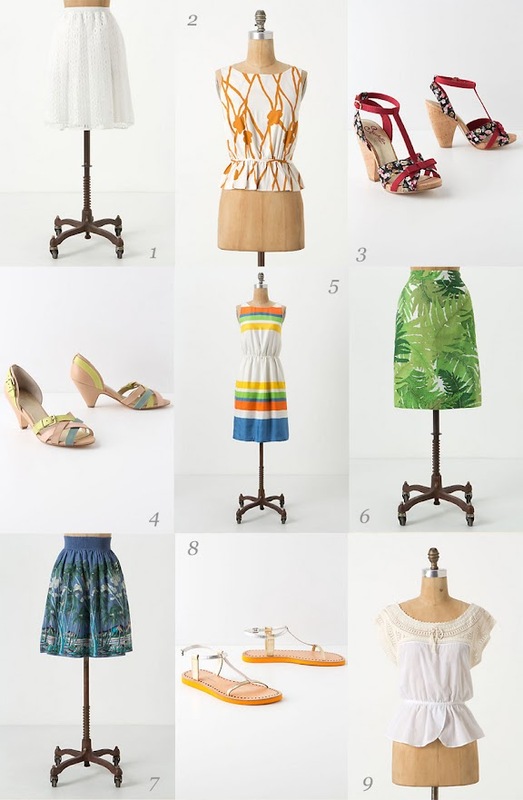 I am drawn to the coral pencil skirt. 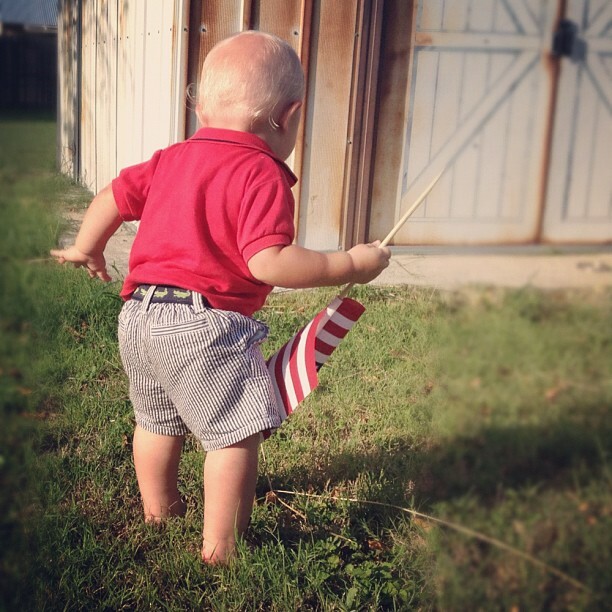 We had a fabulous time celebrating the 4th of July. Our day was jam packed and I loved every sunburned, sparkly minute of it. I have been sporting this suit at the beach and get tons of compliments. I would love to wear this pretty necklace. I desperately want to try out this DIY bandeau swimsuit tutorial. I just discovered Mango Outlet which is chock full of goodies (including these lovely stems). 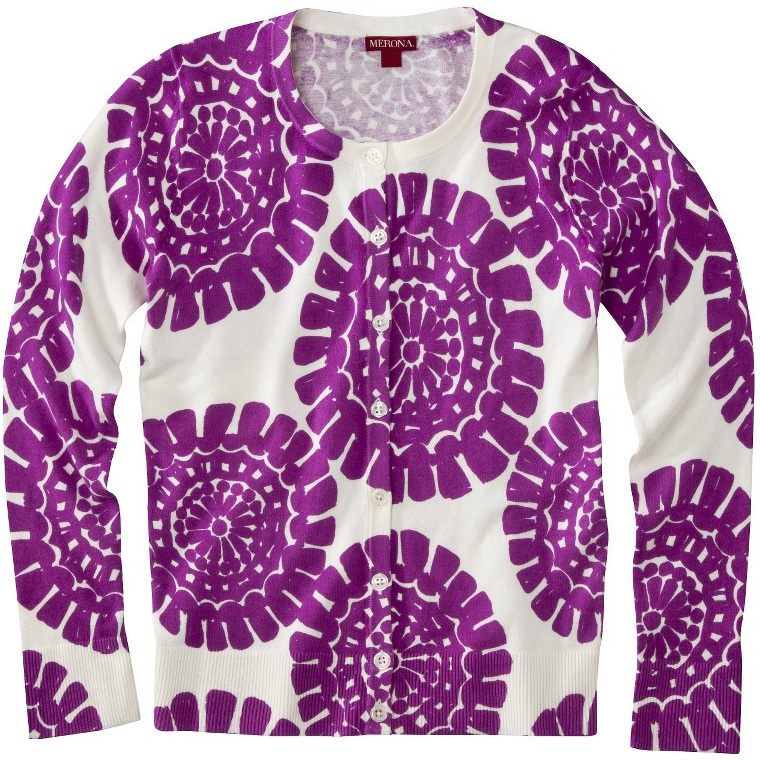 I adore this sweet floral tee. We are gearing up for a road trip to North Carolina and DC next week and are so excited. I am kind of obsessed with the #4 & #9 myself. What's your favorite? I bought this skirt when I was pregnant with Tate. 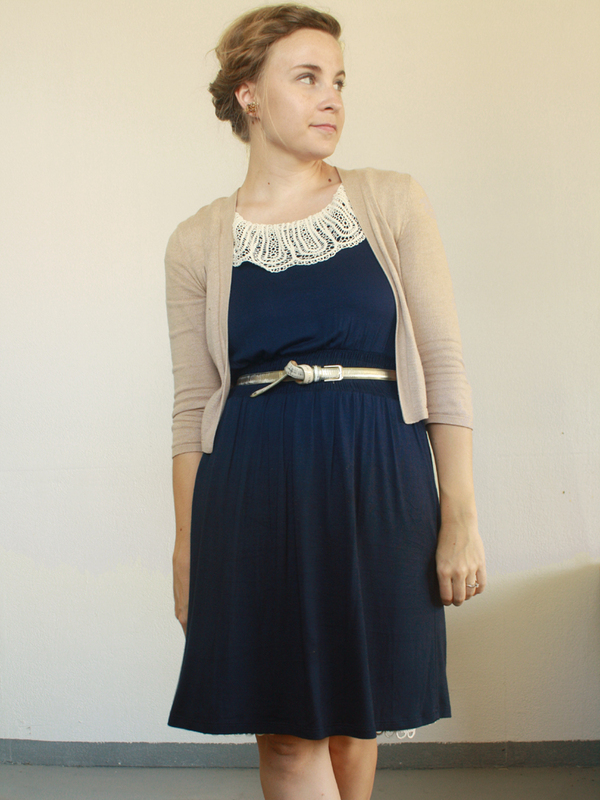 It was an incredibly awkward mid calf length and I thought it would be perfect over my baby bump. I then attempted to trim the hem to work with my tummy - I failed miserably. It was all sorts of uneven and no longer reached my knees. I threw it in my sewing pile and didn't revisit it until recently. I finally managed to even out the bottom and am am loving how it turned out! I spotted this lovely knee length number at Forever 21 and wanted to share. I think the color is great for summer and would work it's way into a fall wardrobe wonderfully. 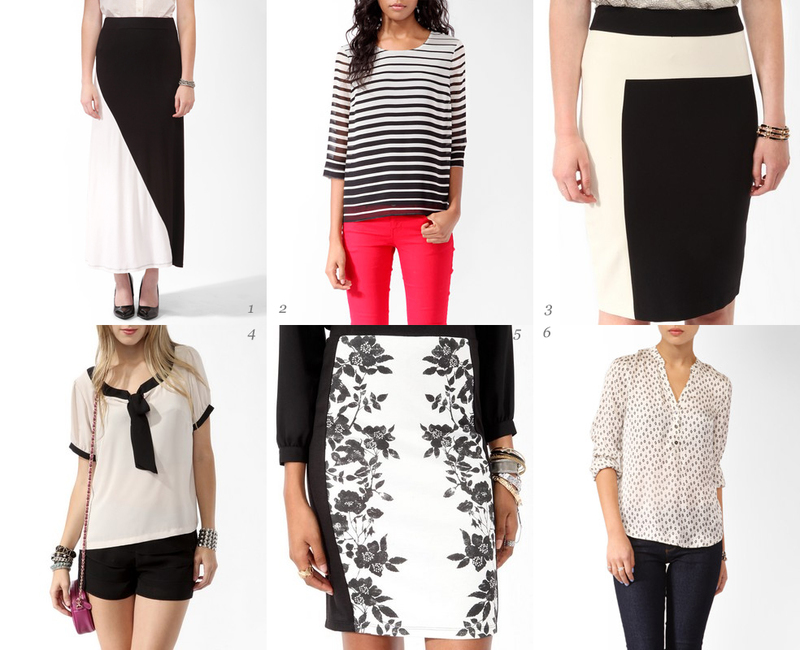 As I have mentioned F21 has done a surprisingly good job of keeping modest skirts in stock. 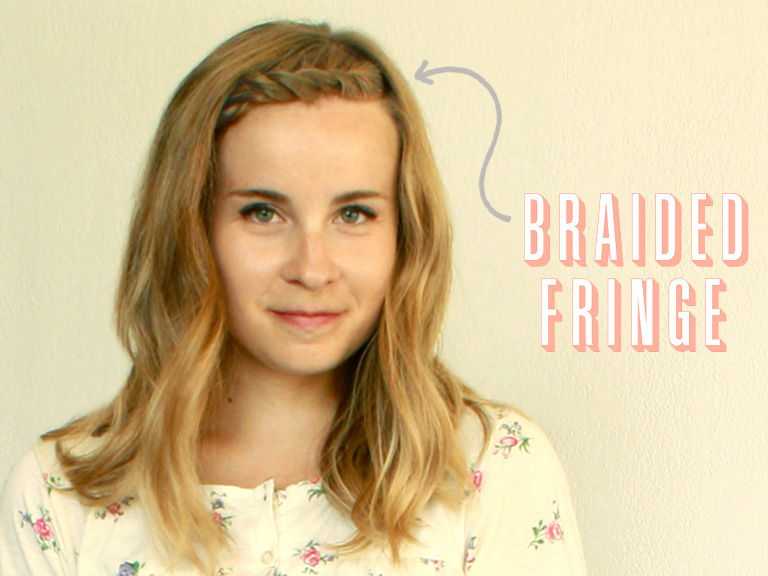 The last time I did a hair tutorial, I was asked for a little help in with braiding bangs. Because I am nothing if consistent, I actually don't braid my bangs, I twist them.